Nico Rosberg retired at the end of the 2016 season but he's never quite made the step back from the sport we might have anticipated. 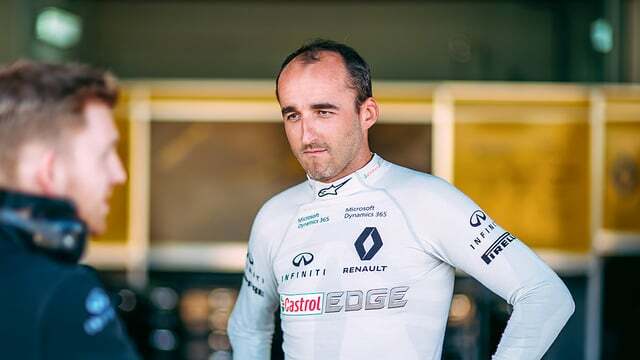 Now he's found a new way to stay involved, by joining the management team for Robert Kubica, looking to get the Polish driver back on the F1 grid. Kubica's early exit from the sport after a rallying crash was assumed to be the end of his F1 career, but this year he's been taking steps to work his way back onto the grid. After testing with Renault on a couple of occasions, he admitted he was realising what he'd missed and hoping for another chance in the sport. Rosberg obviously has the same feelings, as he previously mentioned wanting to mentor someone and has opted for Robert for his first client. He tweeted: "Excited to be working with Robert and his return to F1. He and Lewis were the fastest I raced against." Meanwhile, Kubica added: "It's fantastic to be working on this with Nico. We know each other since we were kids and he is, and will be, a great asset in my F1 comeback."